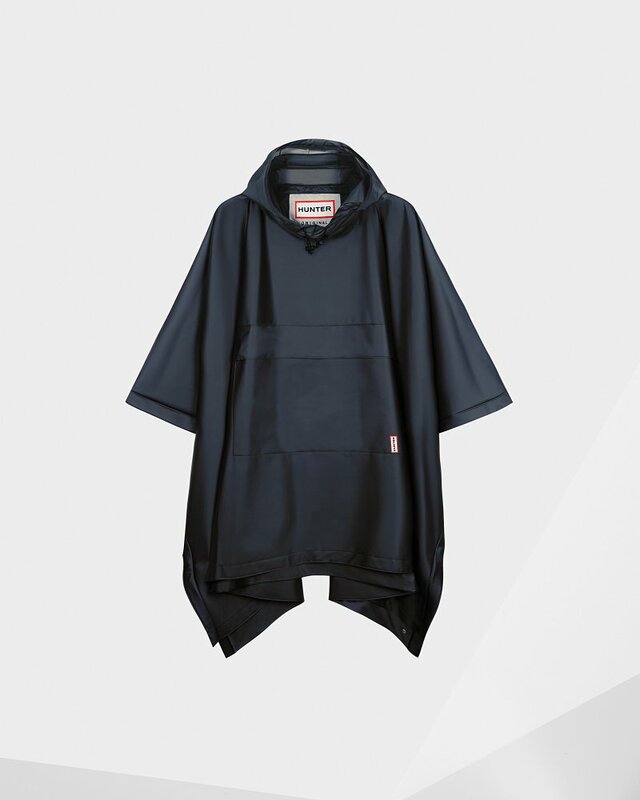 Original Waterproof Vinyl Poncho is rated 4.5 out of 5 by 10. Rated 3 out of 5 by brian from Better suited for smaller people Ordered size M/L. 6'1" male with a fairly large head. Had trouble squeezing my noggin through and the hood's coverage felt lacking. The real deal breaker was how tight it felt around the neck - the edges aren't super sharp or jagged, but just enough to cause chafing. I do like the design (nice large front chest pocket) and material, but unfortunately this will be getting returned. Rated 5 out of 5 by Harriet23 from Perfect Poncho I bought this about 2 weeks ago and I just love it. I like the clear one because I can stay protected from the rain while still showing off a cute outfit. I am just a few inches over 5 feet tall and bought the smallest size, but it still reaches the tops of my knees. Looks great though and gives my body lots of coverage from the rain. Rated 5 out of 5 by TUTE from Best Poncho ever!! Great quality, very sturdy, stylish and very comfortable. Rated 5 out of 5 by Ginger from Great for walking in the woods I bought this in clear because I needed something versatile and sturdy that I or my husband would wear when taking a walk in the woods. It’s sturdy, comfortable, great quality and packs into a small bundle so I can stuff it into the Hunter back pack. I love it! Rated 5 out of 5 by Anonymous from Love your products Best boots. I buy a new pair each fall. I give the kids boots as gifts too to friends and neighbors. Truly warm, waterproof and easy off and on, which is valued. Poncho is great for walking my dog “Hunter” in miserable weather. Have only positive feedback on all Hunter products. Wish they made pet products as well. Rated 5 out of 5 by Tim from Pure awesomeness. Bought for trip to Hong Kong where the weather was predicted to be thunderstorms every day. Didn't rain much but loved the bag.